A four bedroom luxury home in Elko, NV includes a large kitchen with 7’ island, and an open layout in a spacious great room. 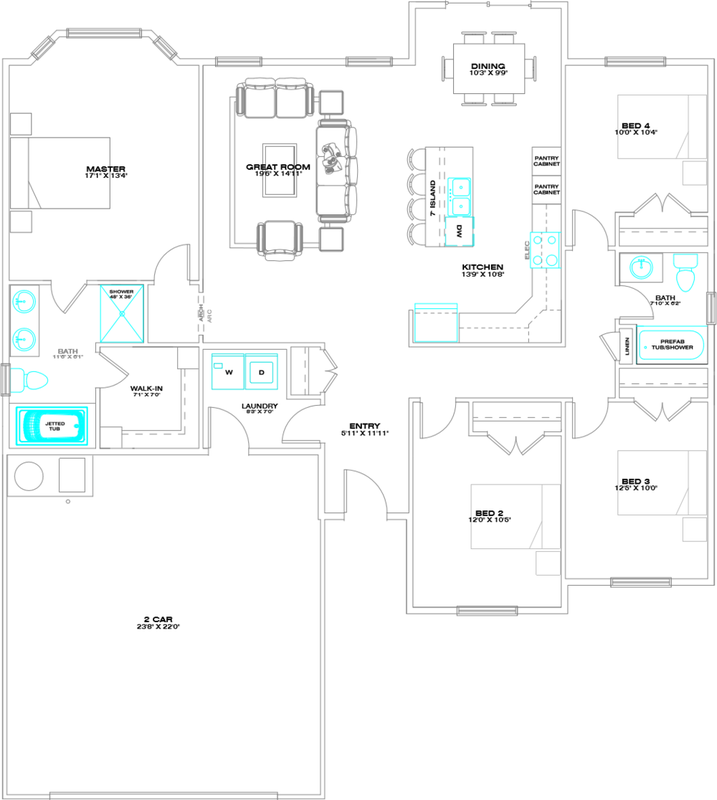 The master suite has all the luxury percs including a large walk-in closet, jetted tub and walk-in tile shower. A large two car garage gives you extra room to park longer vehicles. View more Homes for Sale – Elko, NV.